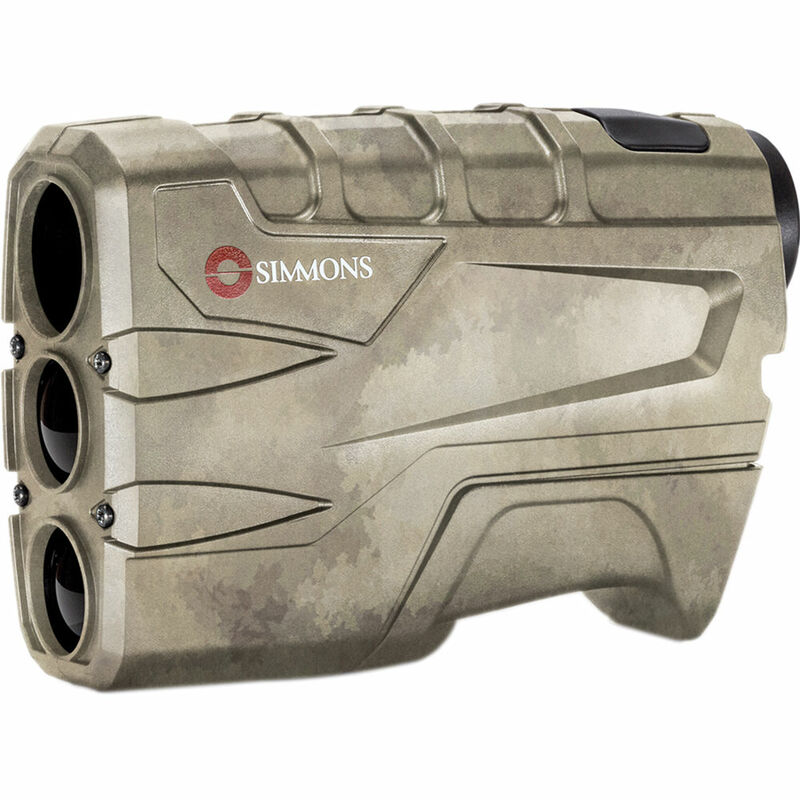 The camo Volt 600 4x20 Rangefinder from Simmons is a weather-resistant fixed focus monocular with a range of 10 to 600 yards. A simple one-button operation, 4x magnification, and an In-View LCD make this scope a convenient piece of equipment to have on your next hunt. The Volt 600 delivers accurate range performance to +/- 1 yard. The range to a deer extends as far as 200 yards out, to a tree 400 yards, and to a reflective surface up to 600 yards. A carrying case is included to protect the Volt 600 when it is not in use. It runs on a user-supplied 9V battery. Measures 4.2 x 3.6 x 1.9"
Box Dimensions (LxWxH) 6.5 x 5.0 x 2.8"